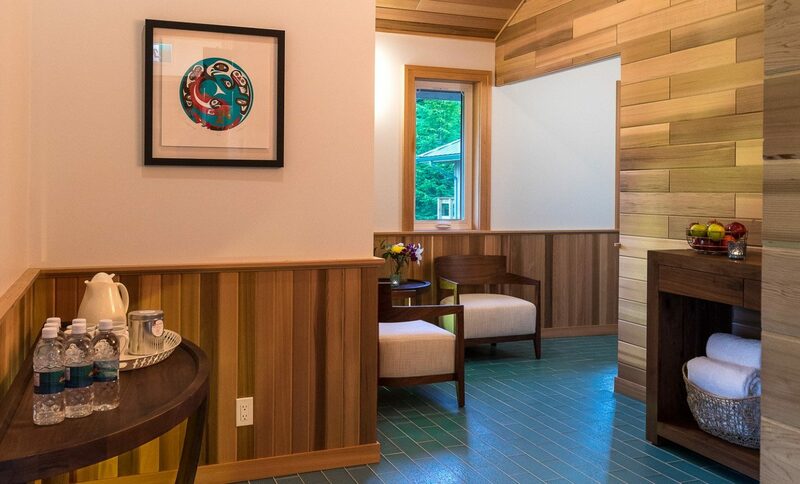 An oasis of relaxing comfort in a remote corner of North America. 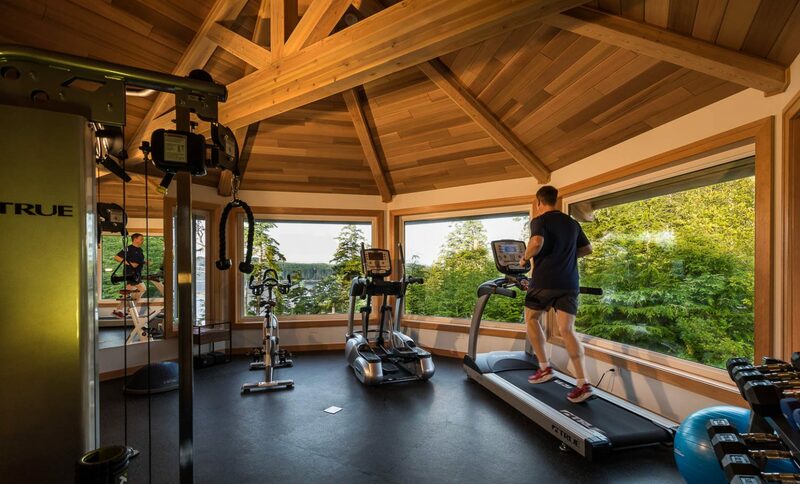 Exercise facility with top-of-the-line True Fitness equipment. Our all new Kusgwai Spa awaits you. Sooth tired muscles with a relaxing massage. We offer a wide variety of professional treatments. Or just curl up in front of a roaring fire. You can catch them later. A break from the fishing, or maybe the reason you came along in the first place? 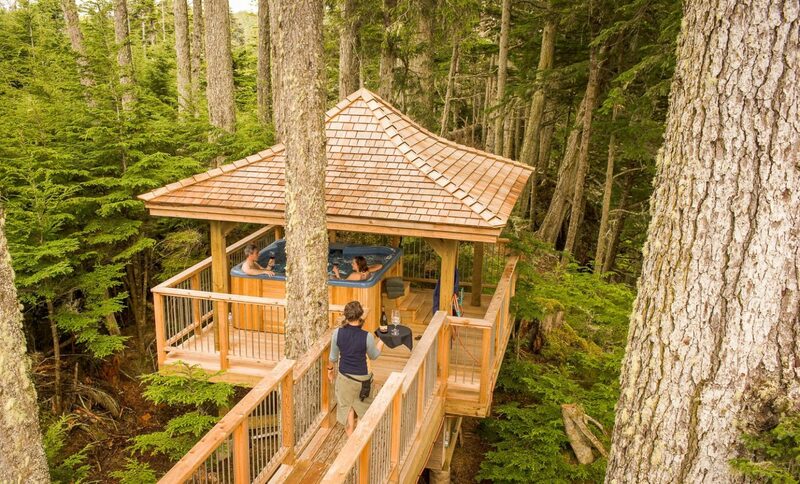 Either way, guests looking for a little R&R will find an oasis of comfort at Langara Island Lodge. After a day of battling salmon, soothe your tired muscles with an invigorating spa treatment. 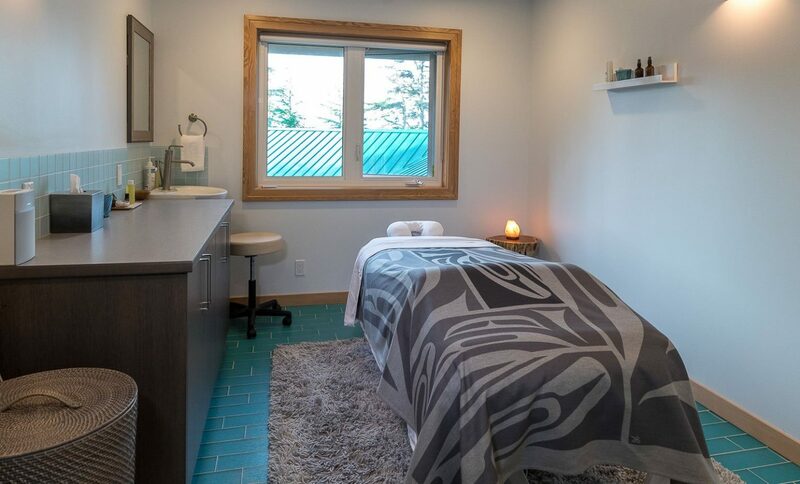 Named after the original Haida name for Langara Island, the Kusgwai Spa offers a variety of professional holistic massage treatments, including relaxation, therapeutic and hot rock massage. Work off last night’s dinner, or extend the workout you enjoyed reeling in fish. Our all new exercise facility features top-of-the-line True Fitness equipment and machines, so you don’t have any excuse for skipping your usual workout. 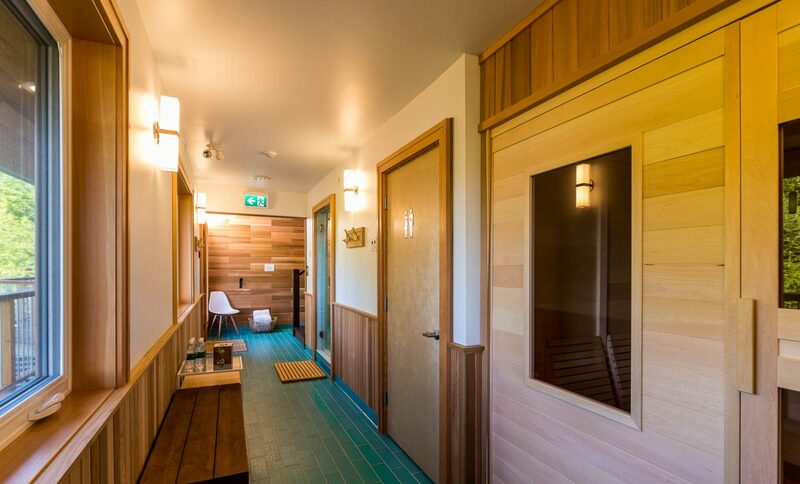 Sauna, steam, and several hot-tubs also await you. 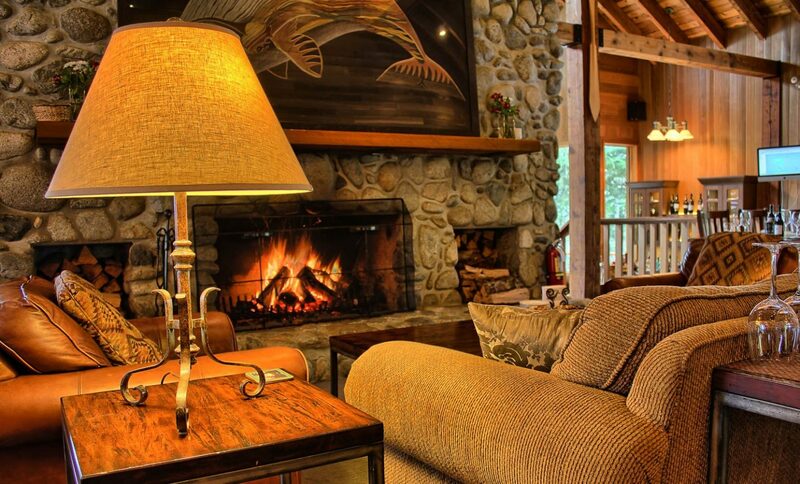 Or just curl up near the fireplace with a book for the afternoon, or slip into a hot-tub with a glass of wine. Besides, you can spot Bald Eagles from the lodge as easily as you can from our boats! 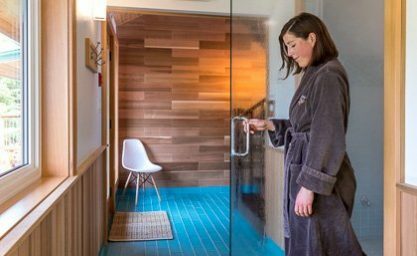 Guests are welcome to schedule spa sessions prior to arriving at the lodge.